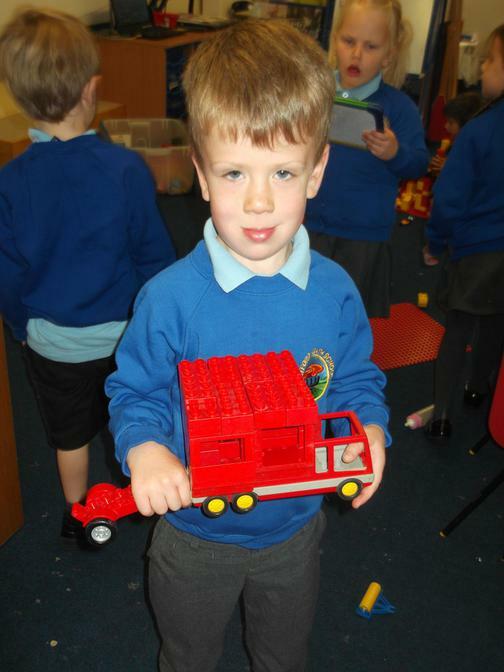 You may find this web site very useful to support your child's home learning. 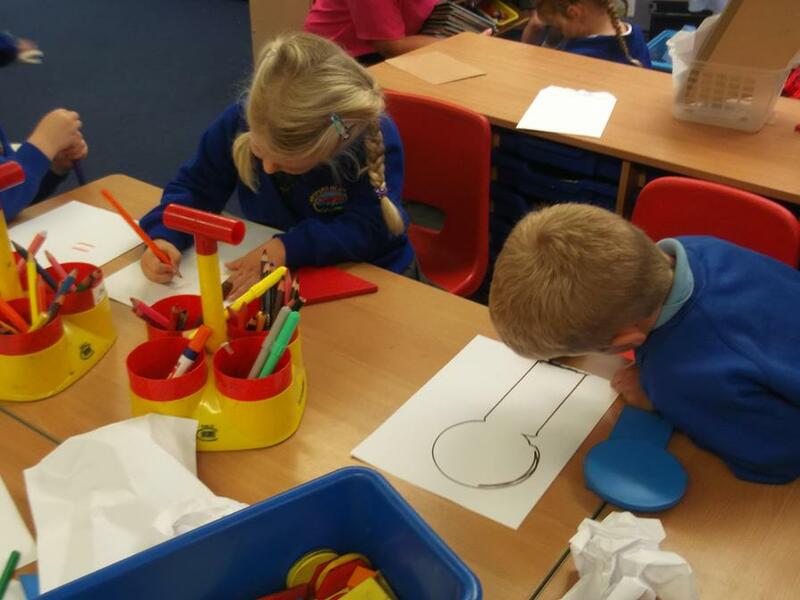 4Children. 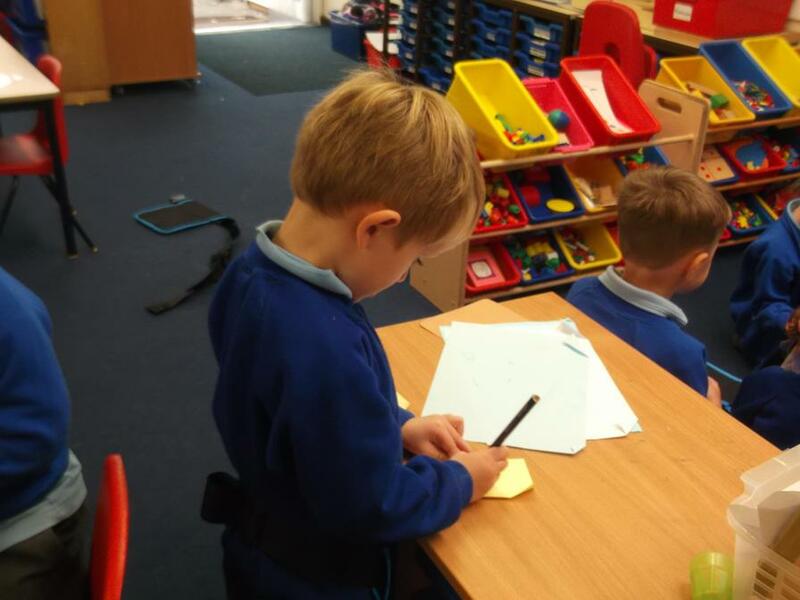 What to expect, when? 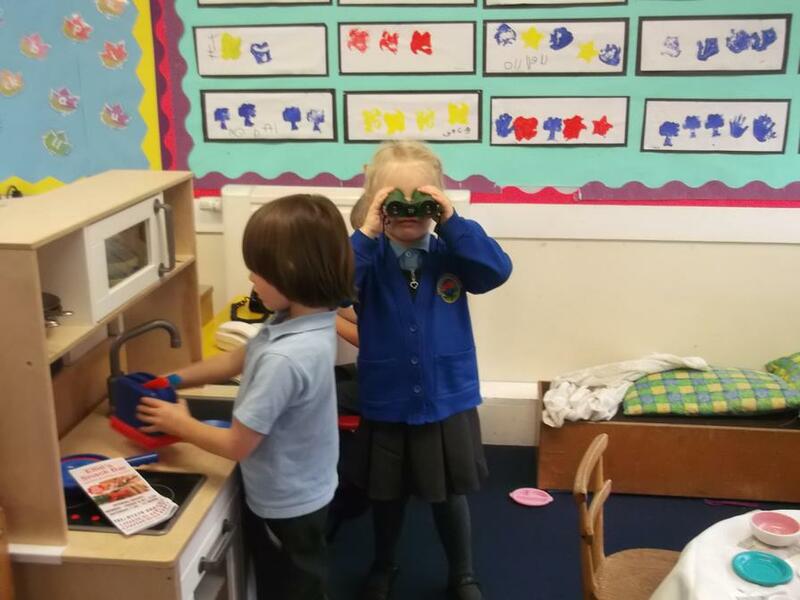 This is a new booklet published to help parents understand more about their child's learning and development in the Early Years. 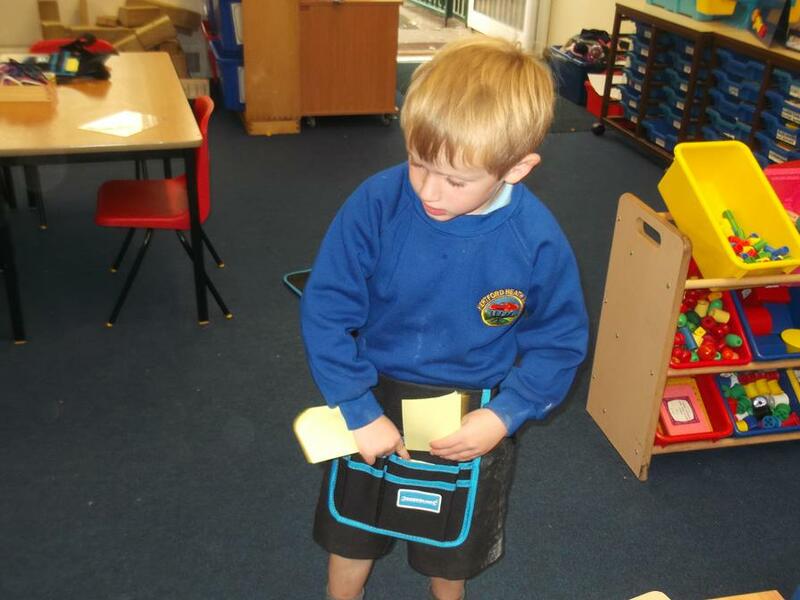 Please take a look as I am sure you will find it really useful and interesting. 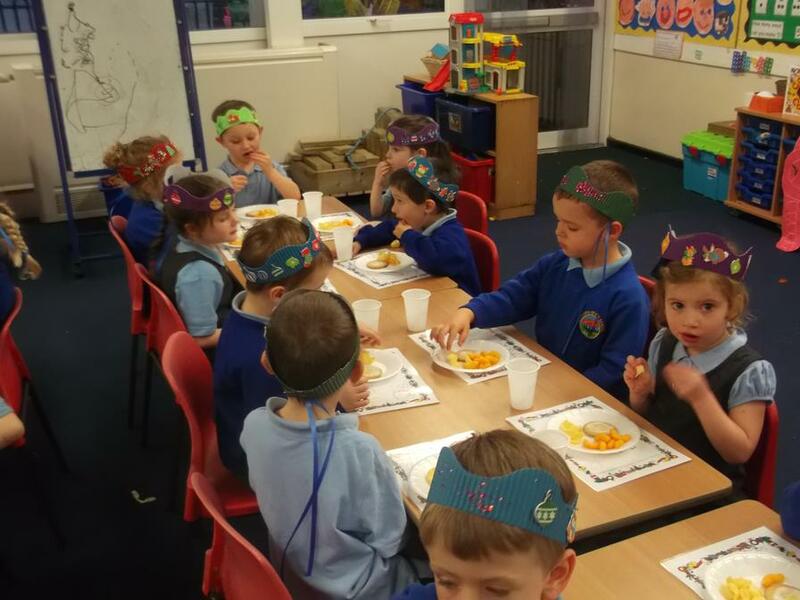 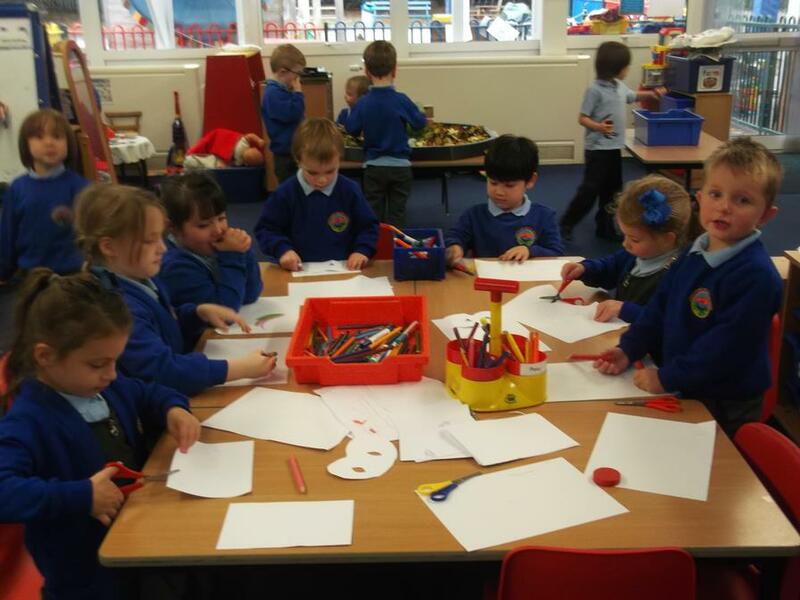 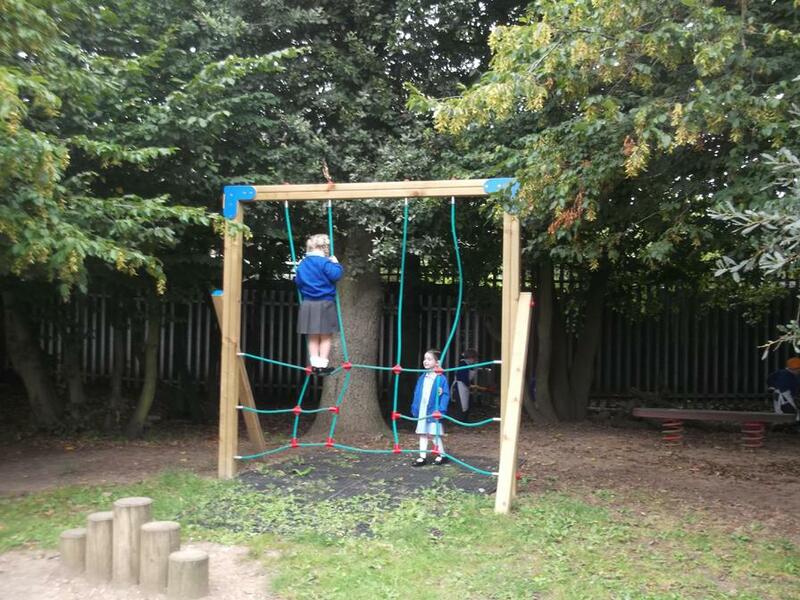 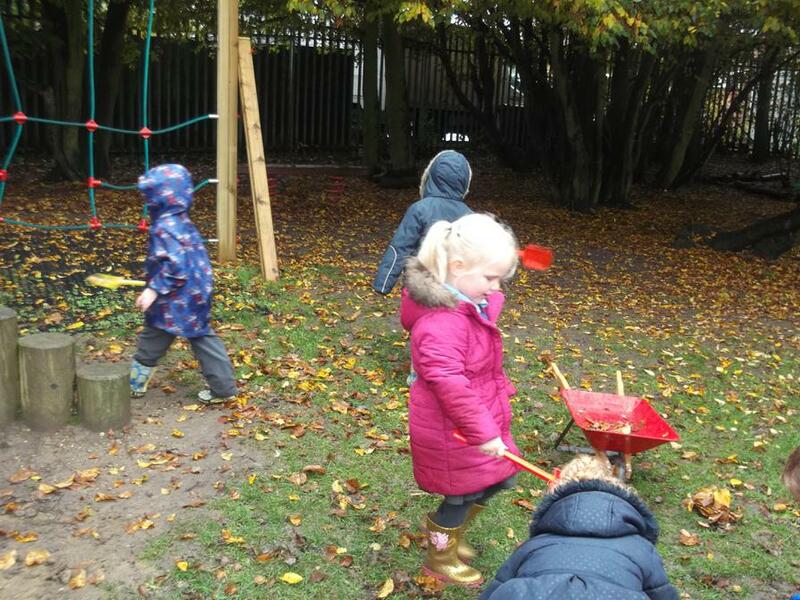 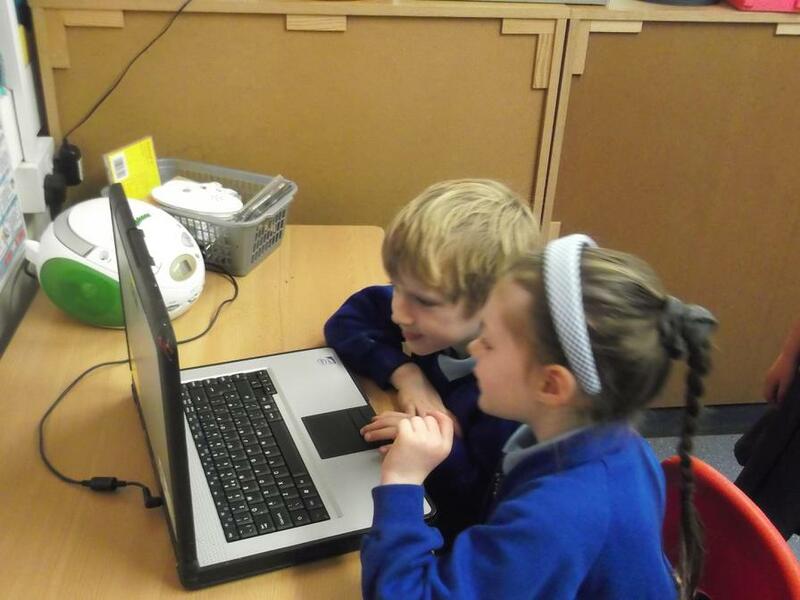 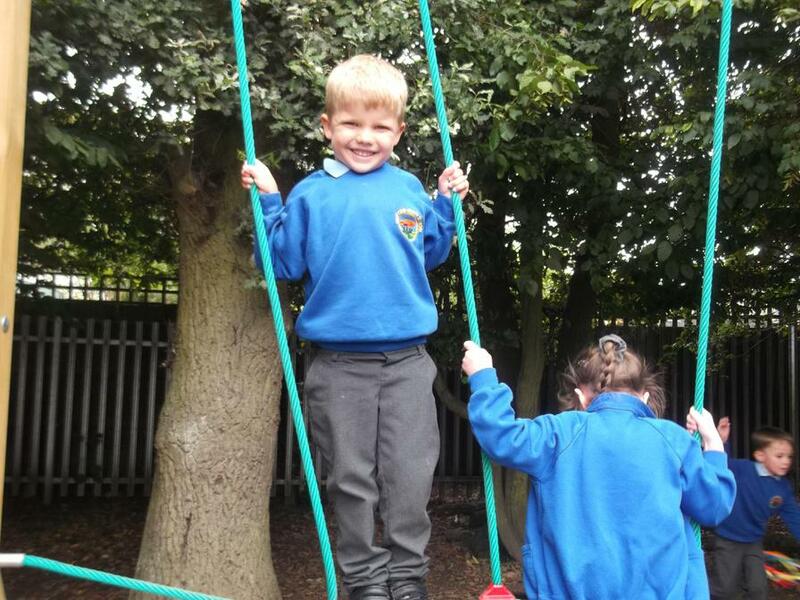 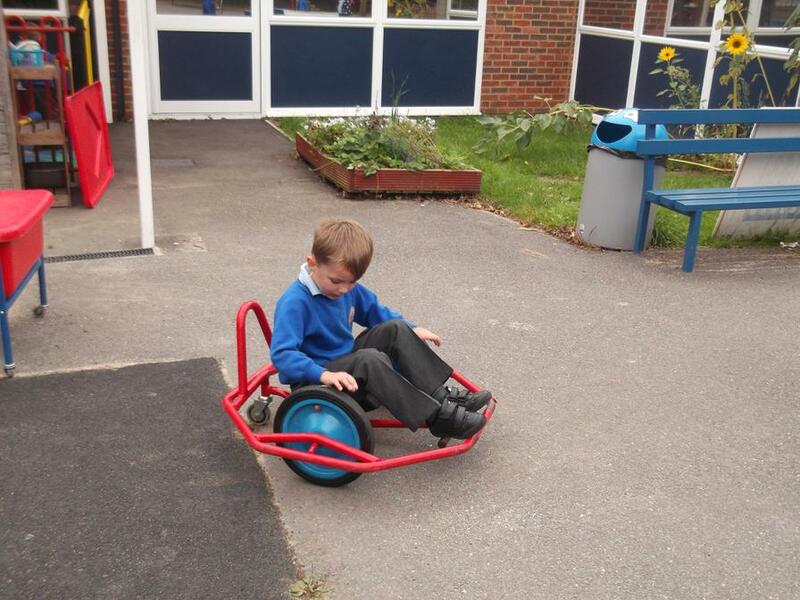 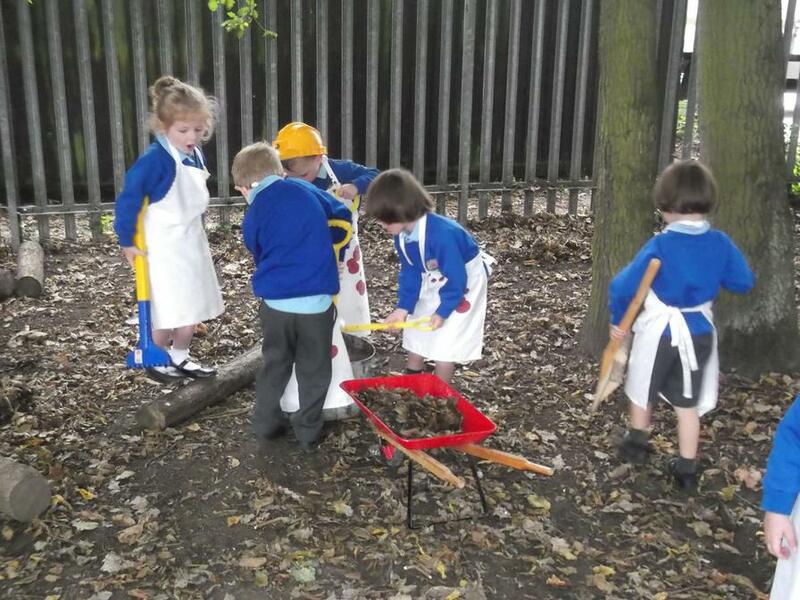 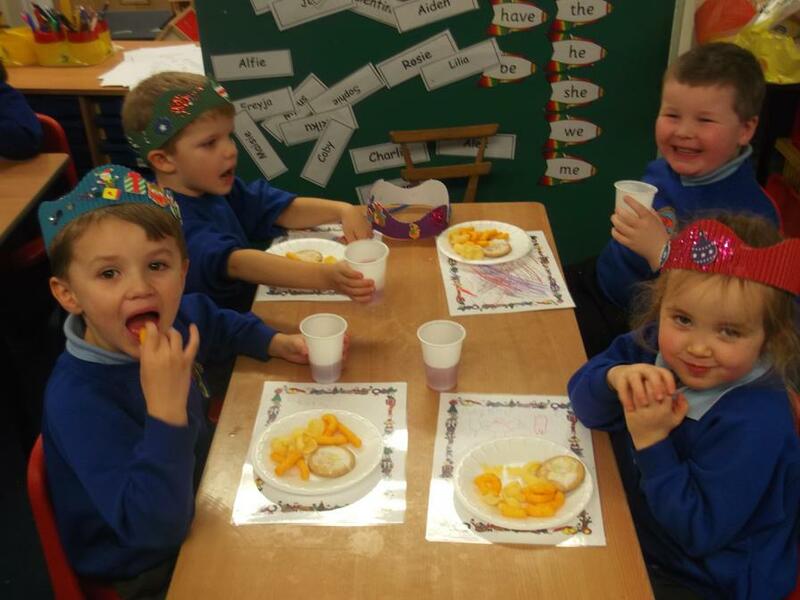 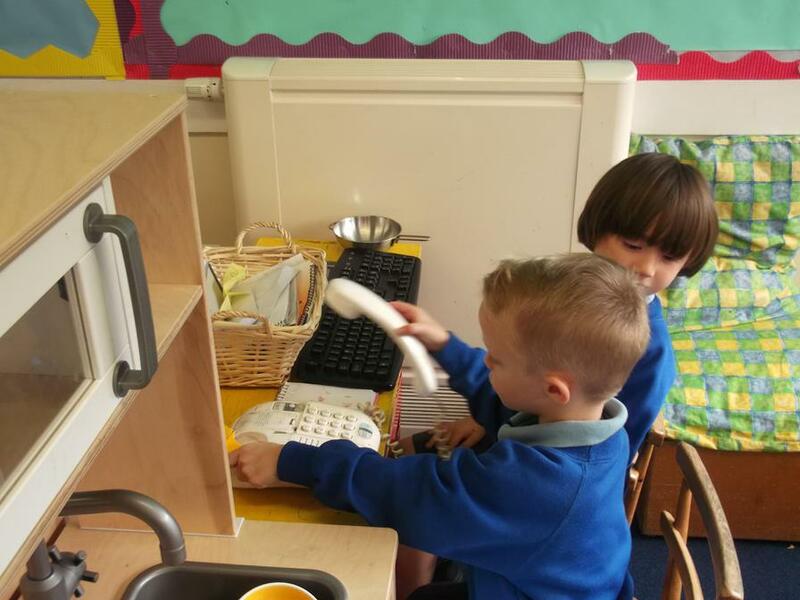 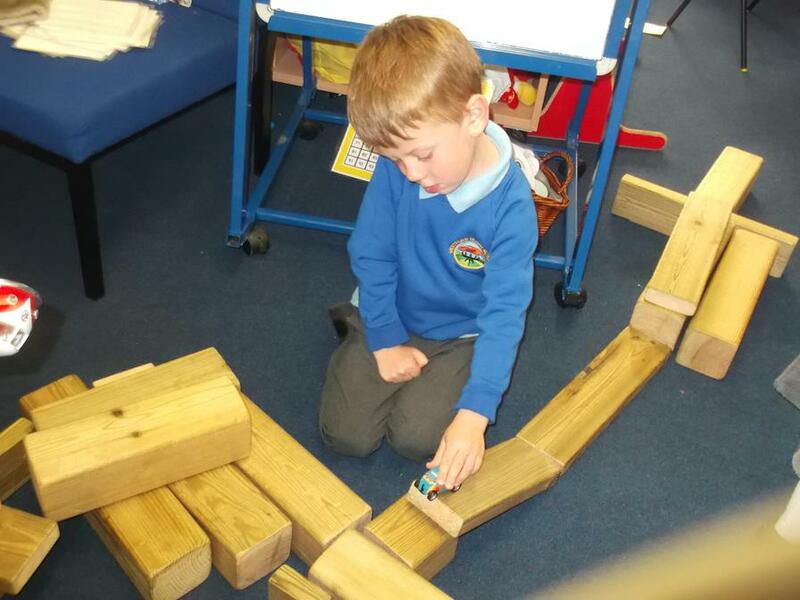 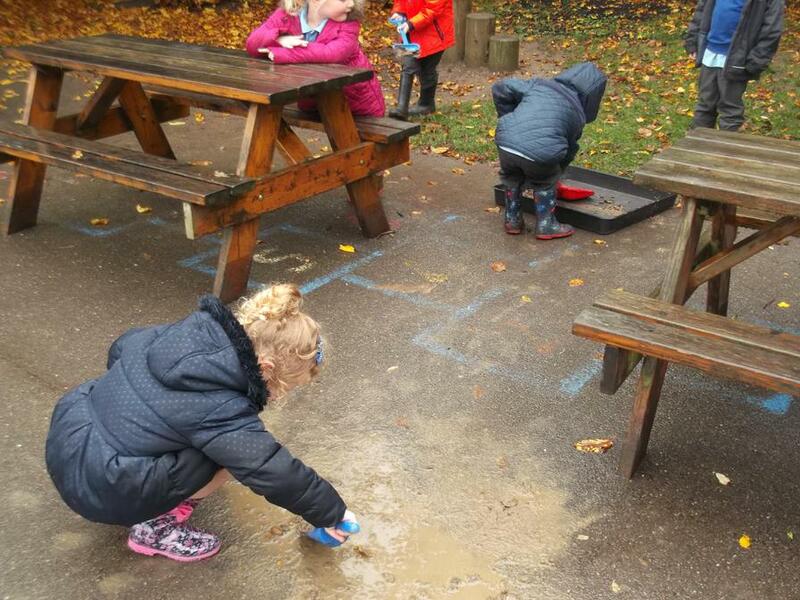 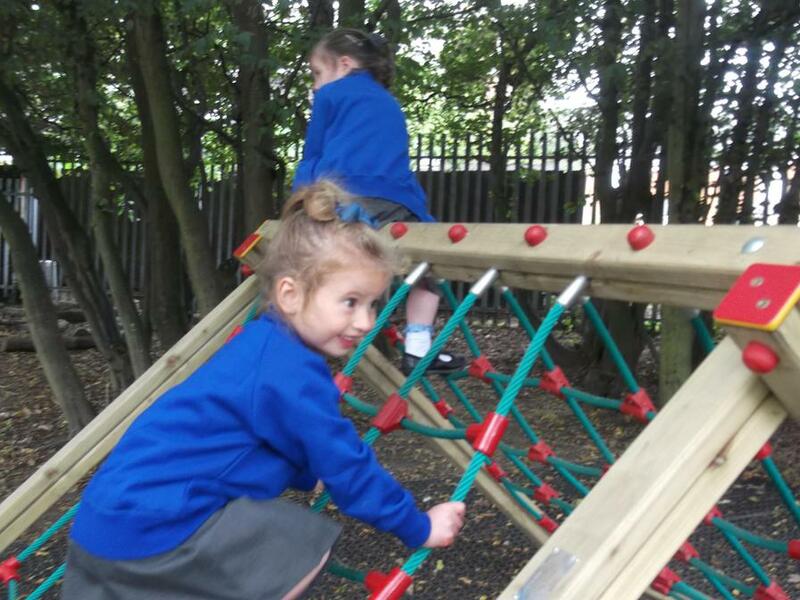 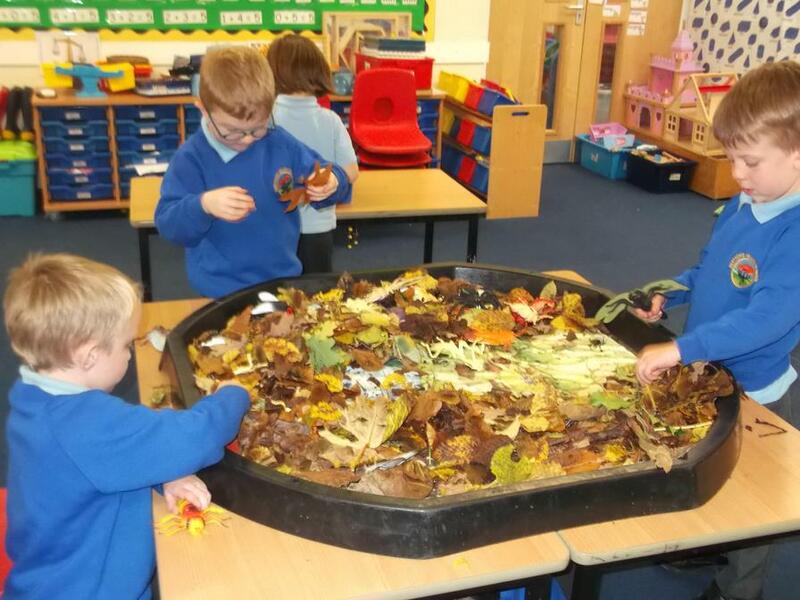 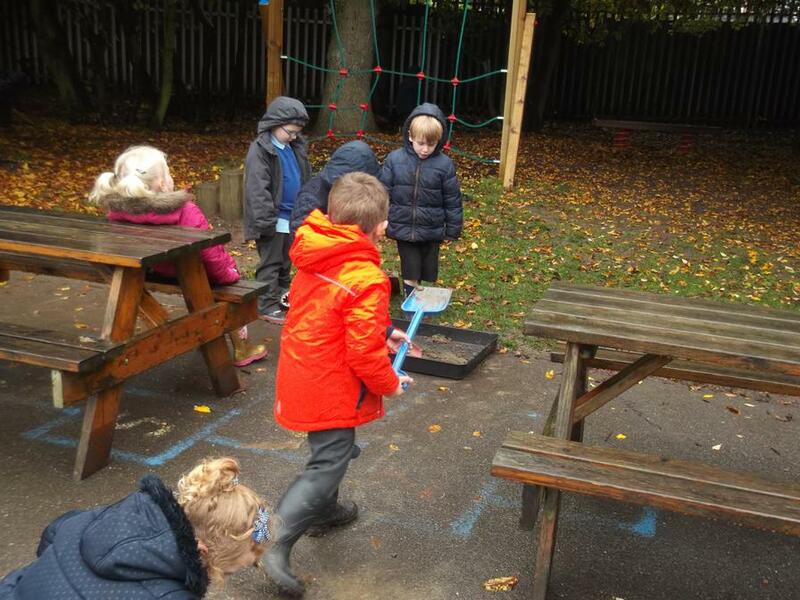 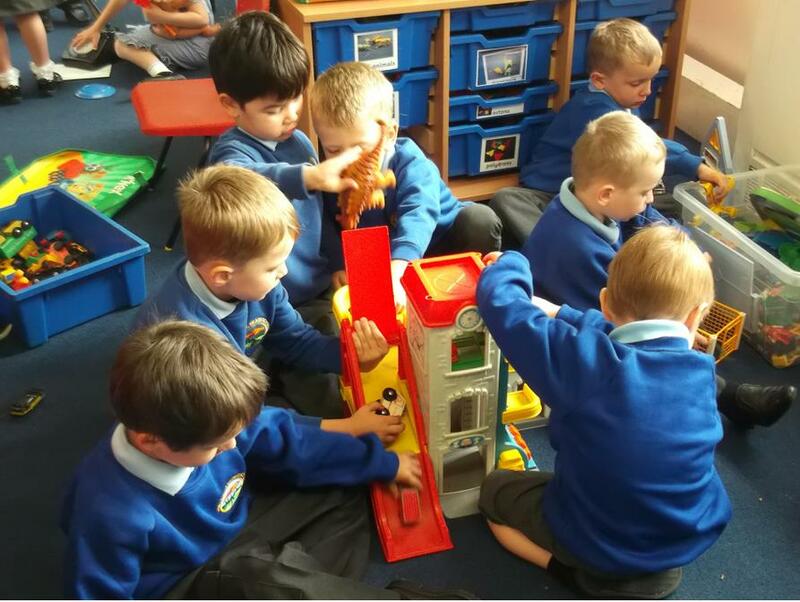 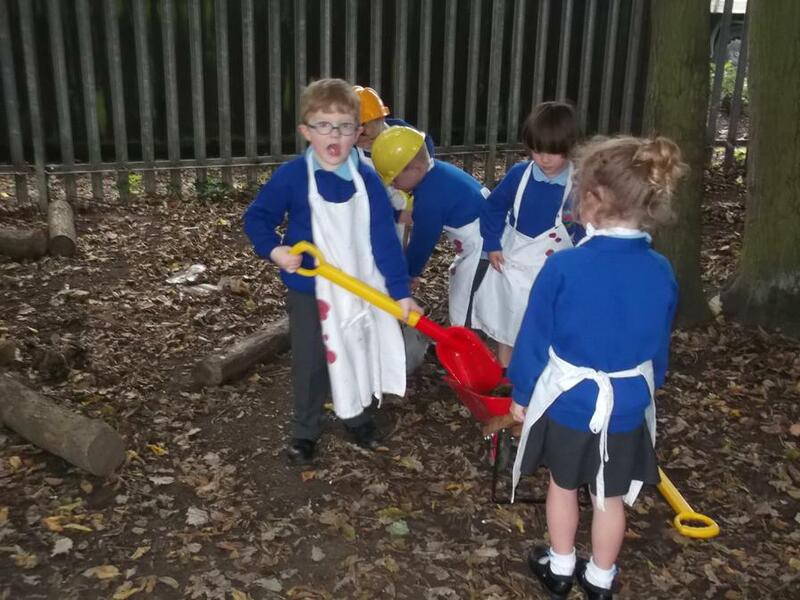 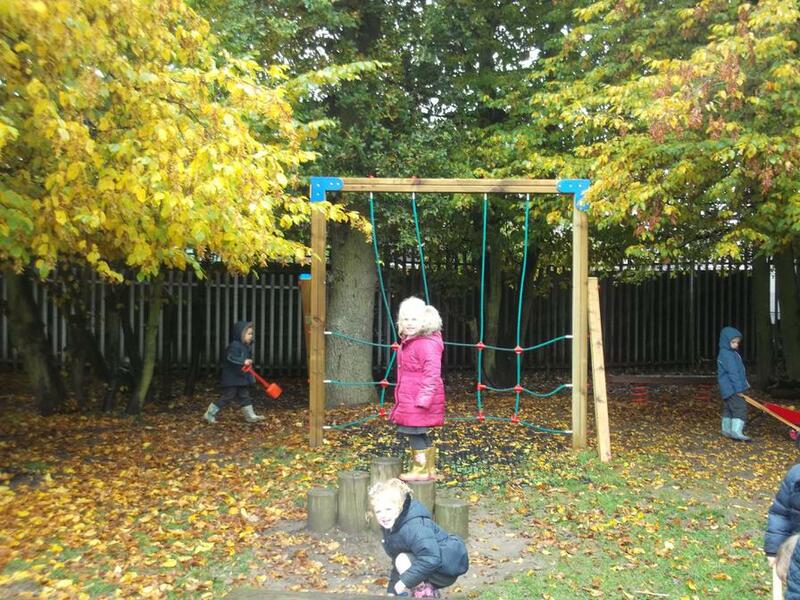 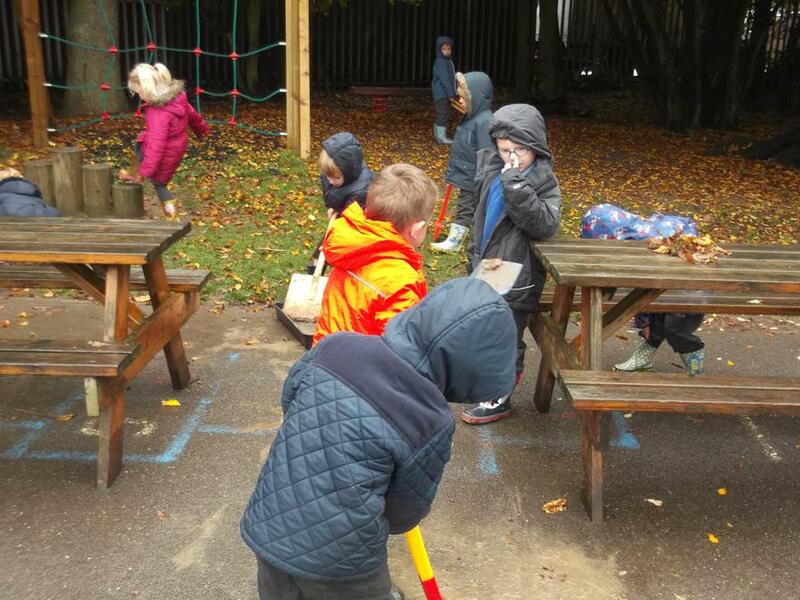 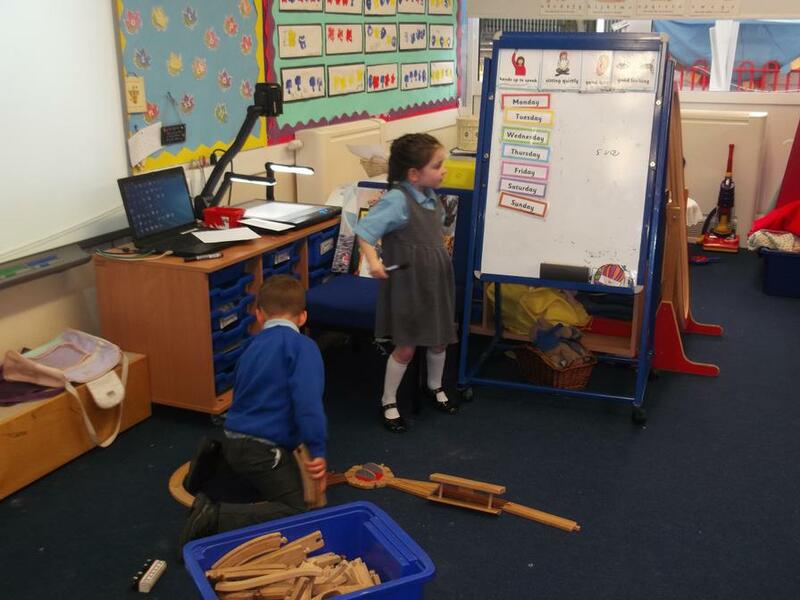 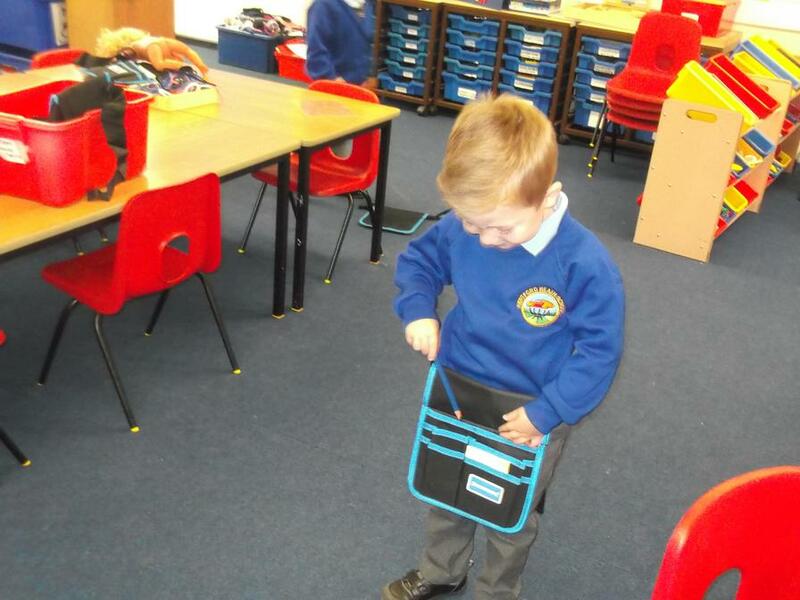 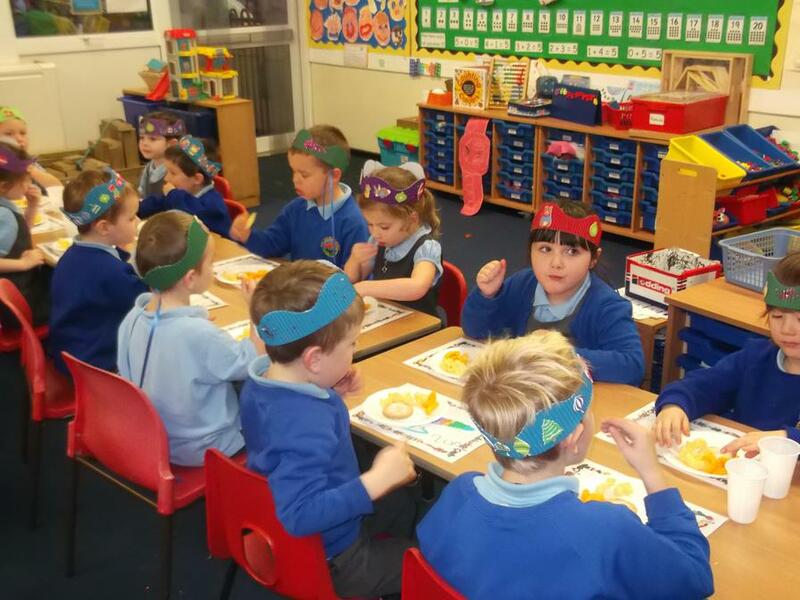 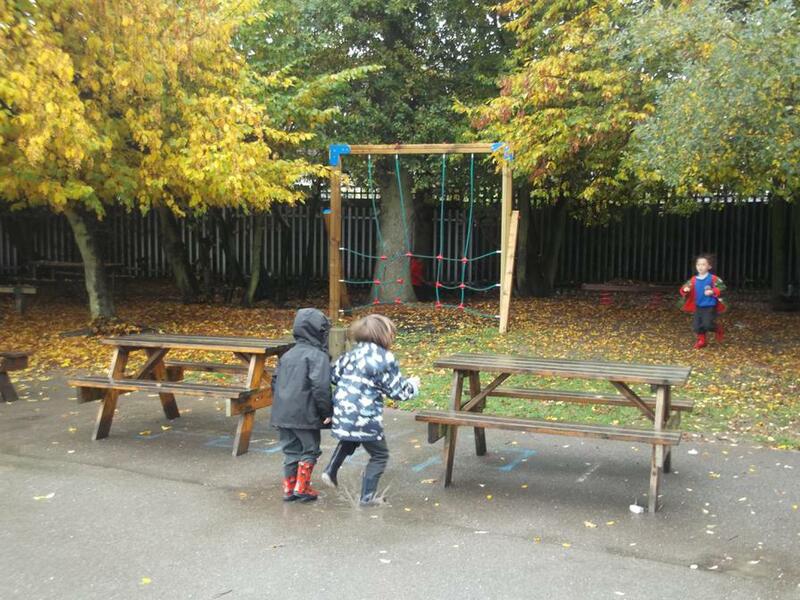 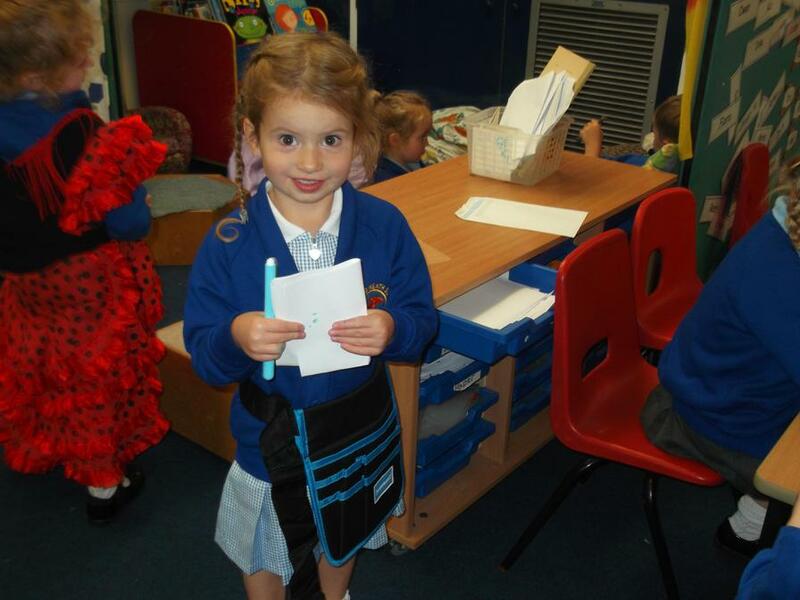 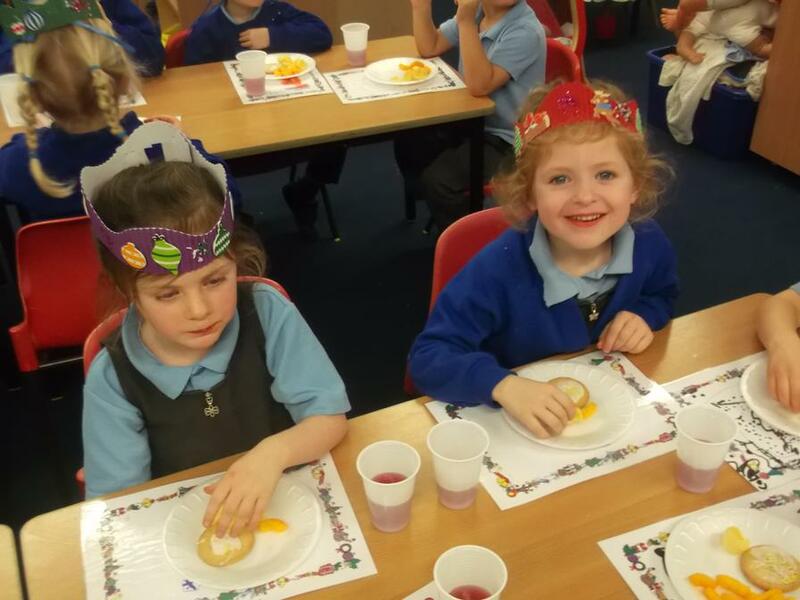 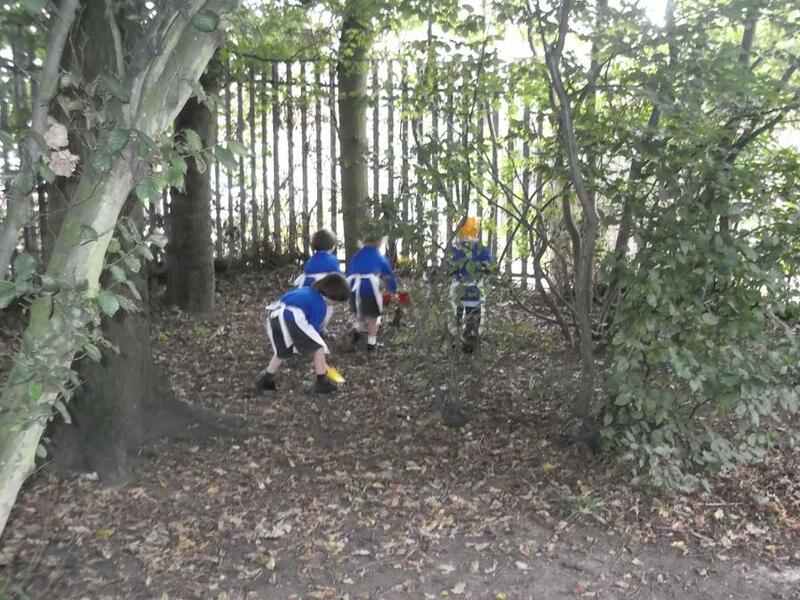 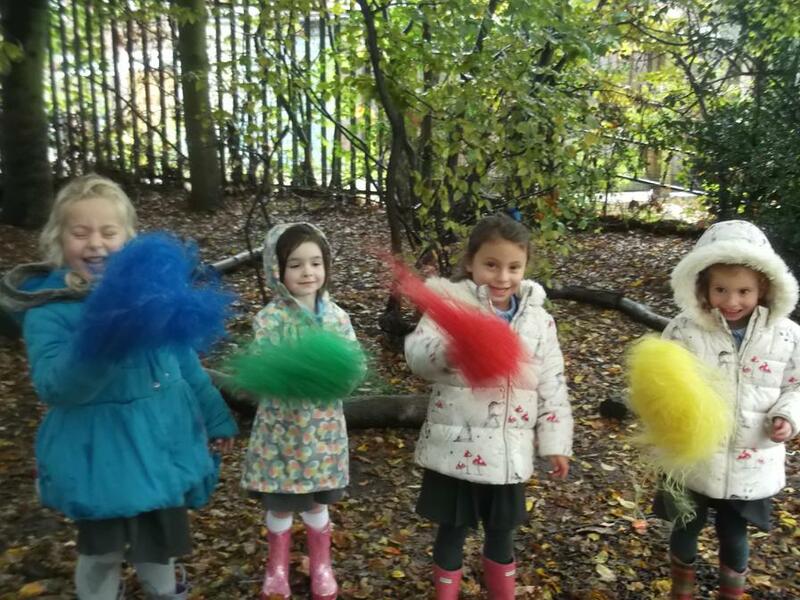 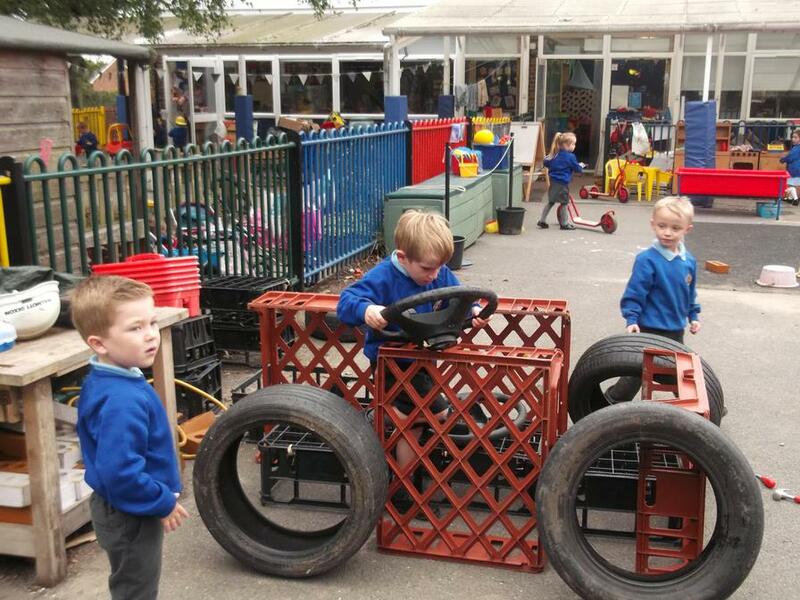 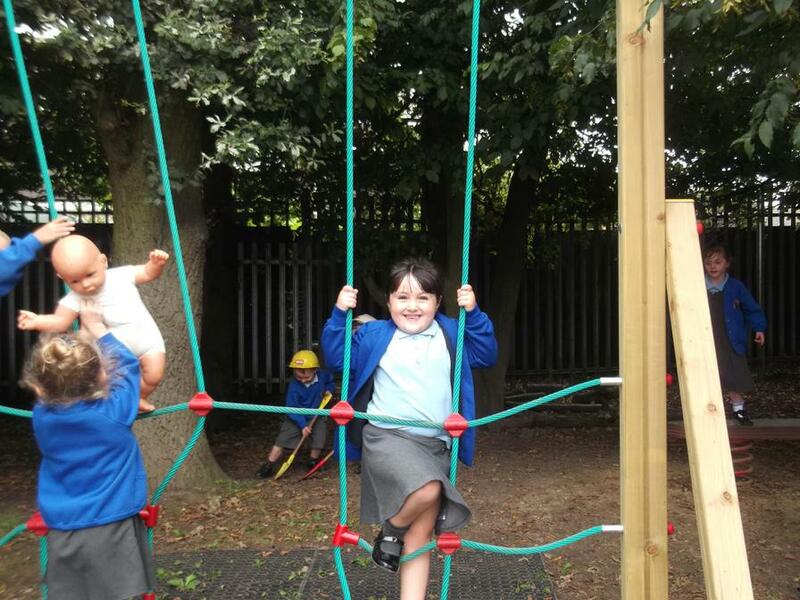 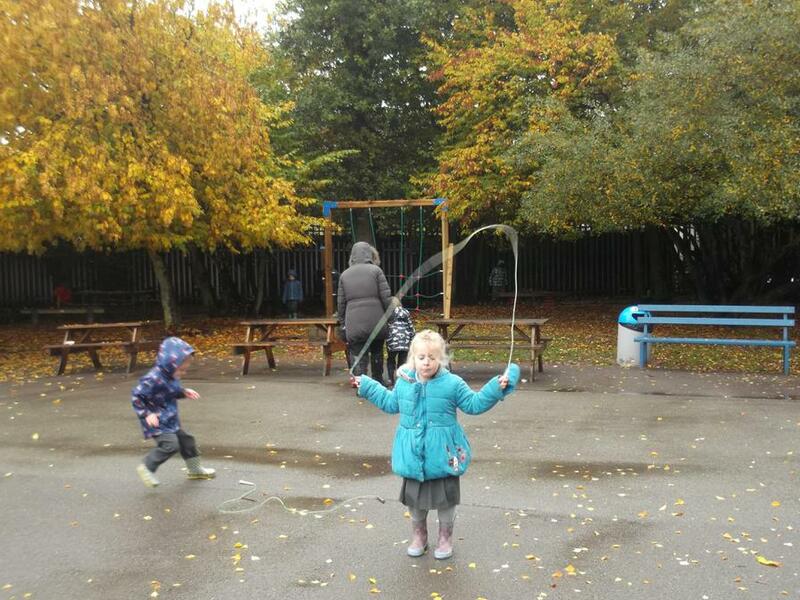 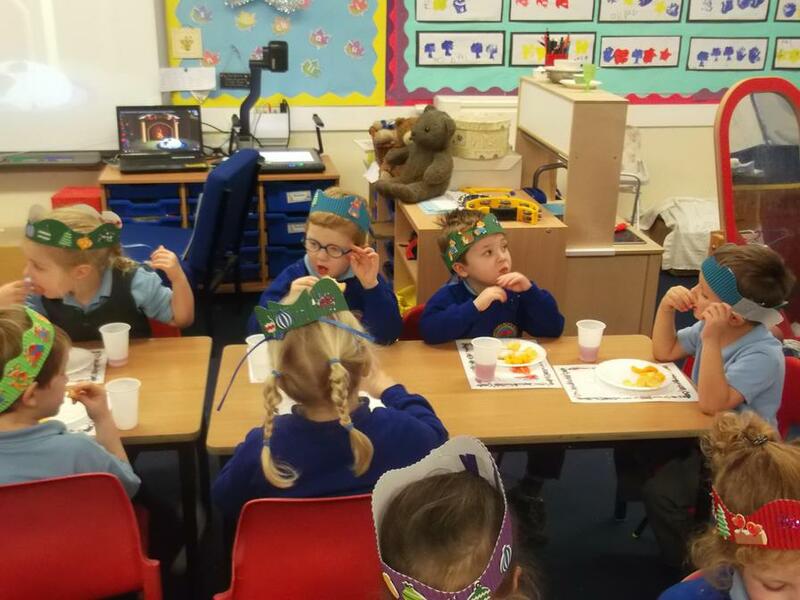 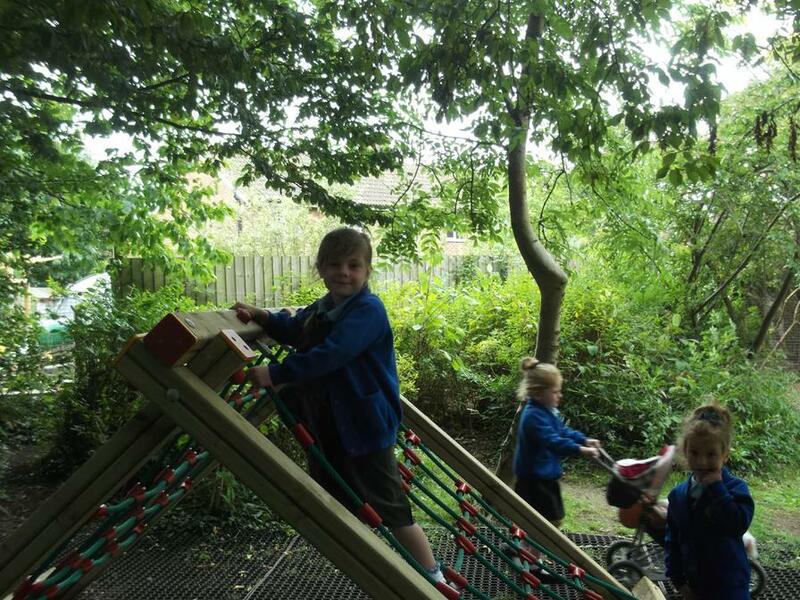 Click on the Class Photos tab above to see what is happening in our current Reception class. 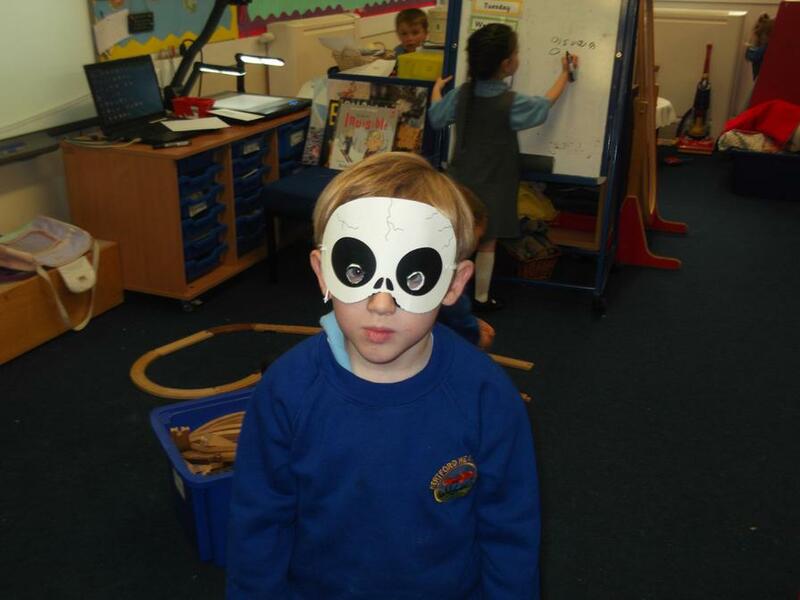 Have a look below to see some of the fun we have had in Reception. 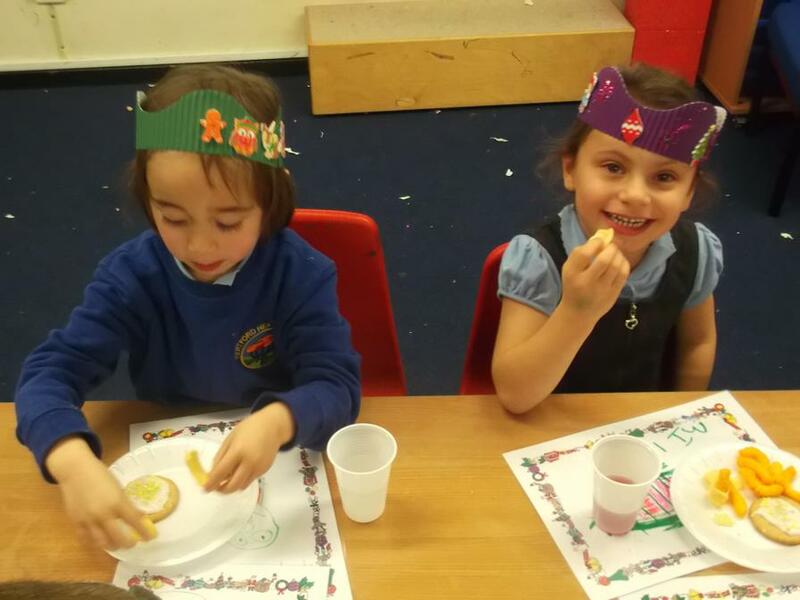 We had fun at our Christmas party! 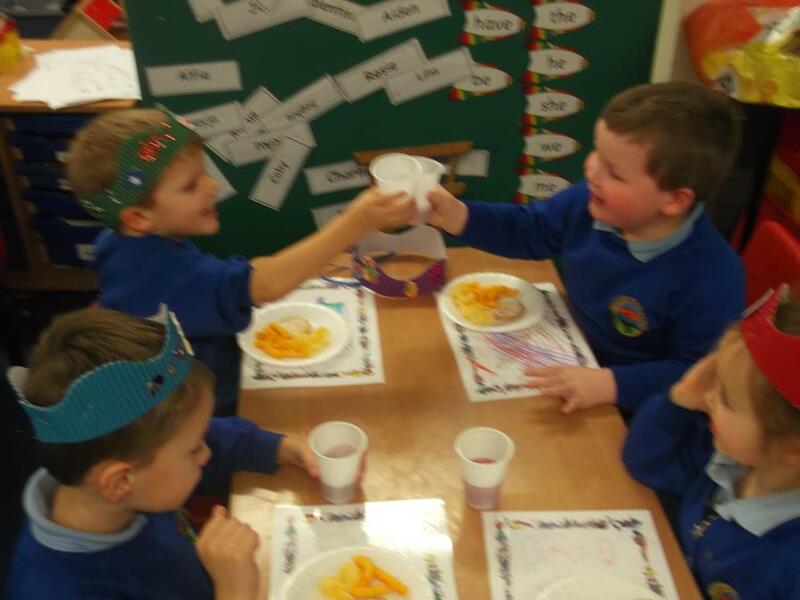 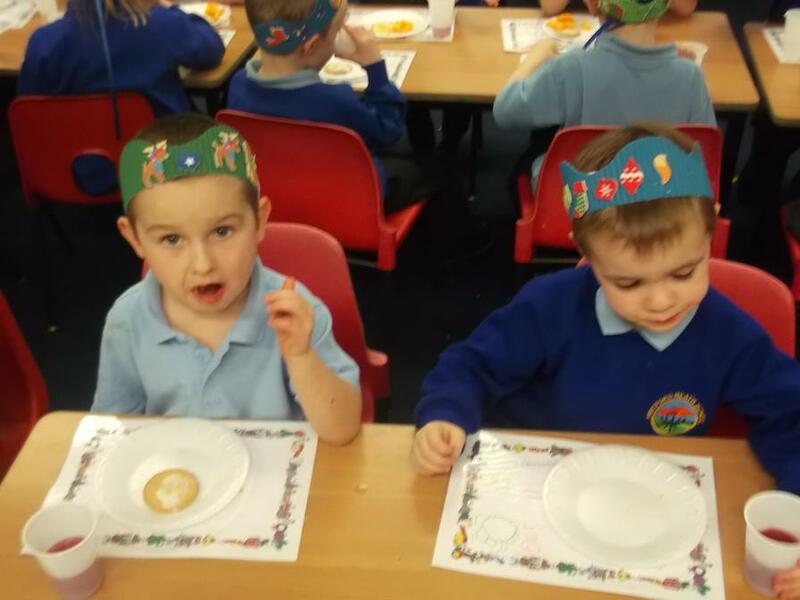 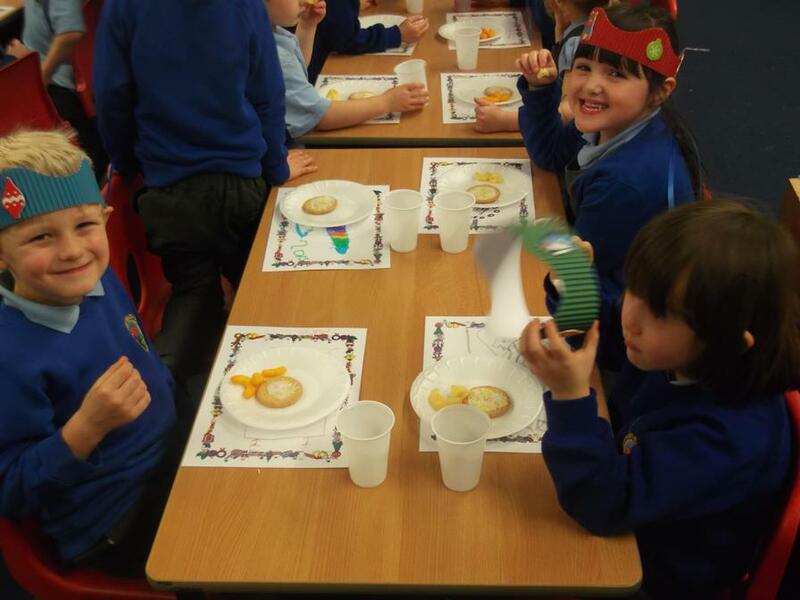 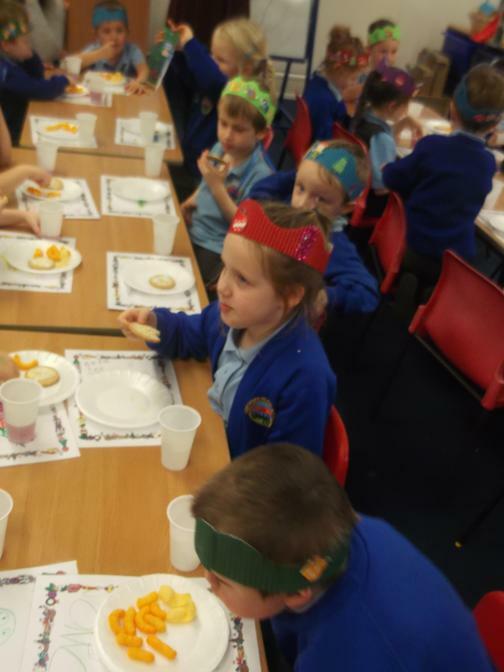 We iced biscuits to share and we played party games. 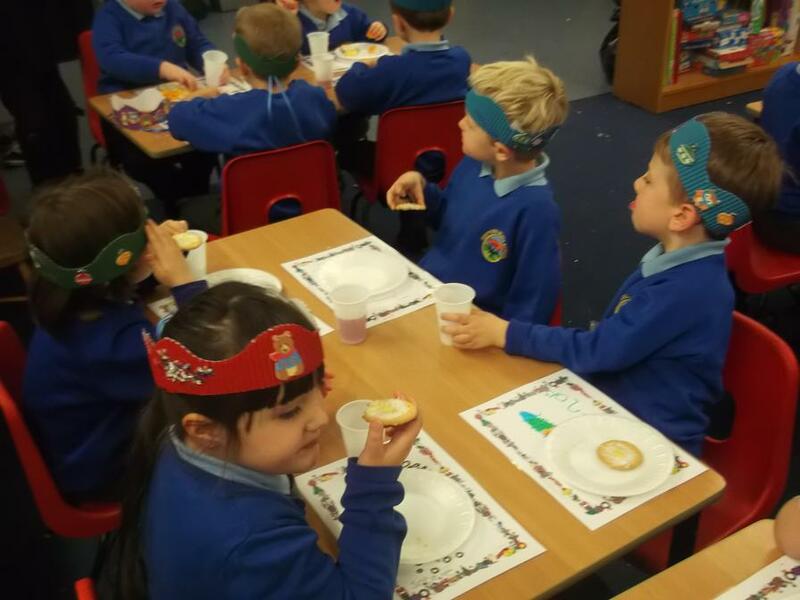 Then we all sat down to eat together. 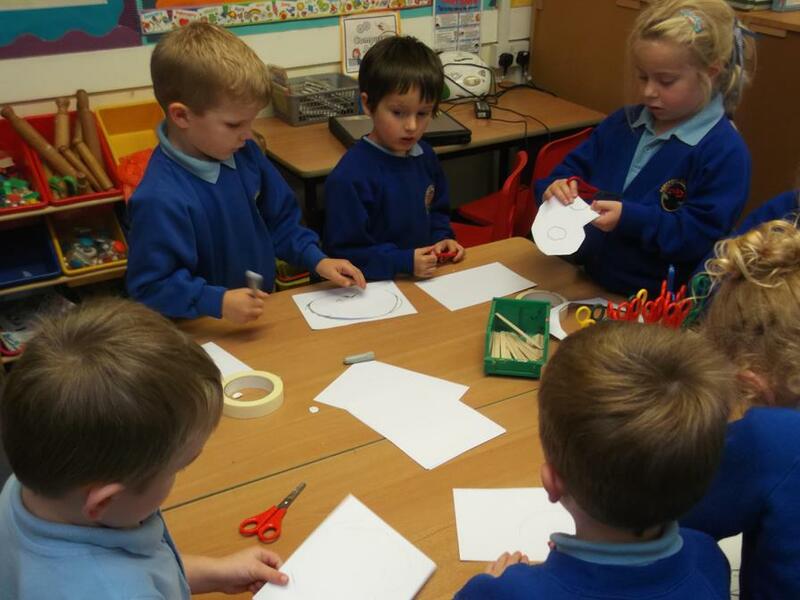 We are learning about shape. 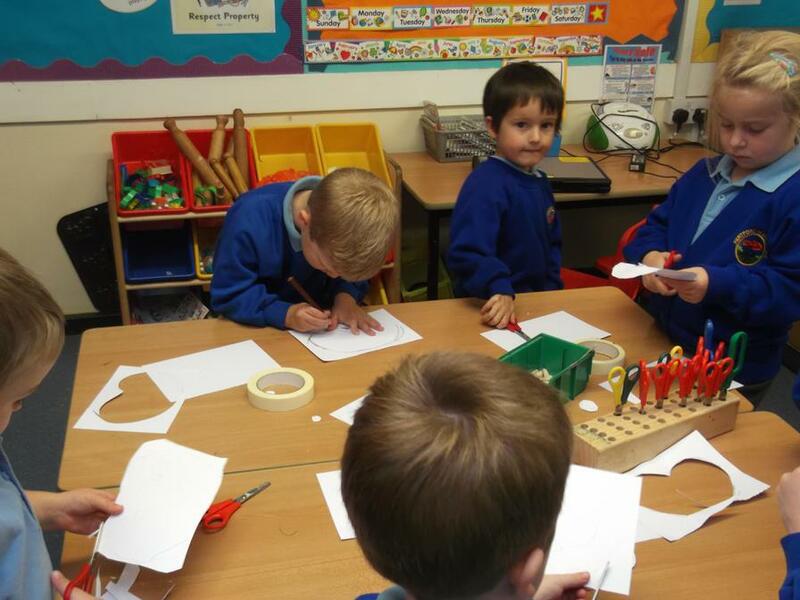 Today we made glittery stars using triangles. 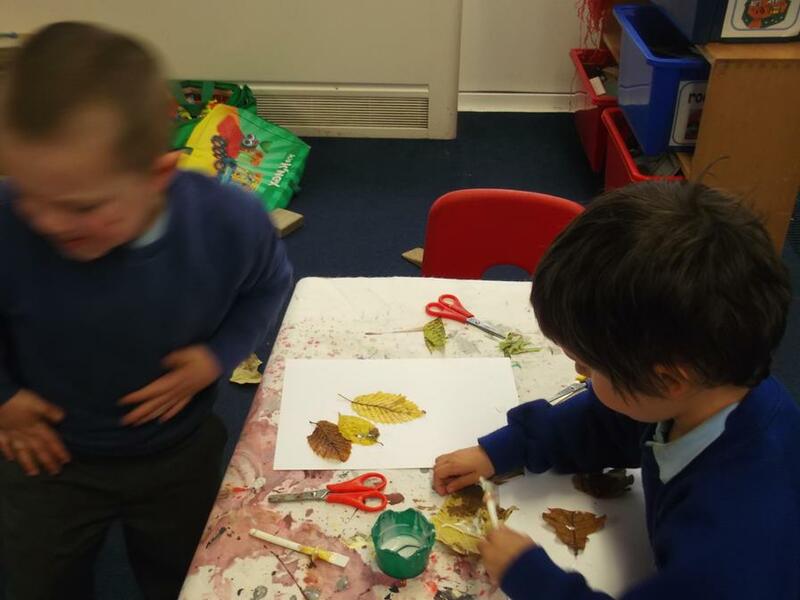 We are going to decorate our classroom with them in time for Christmas! 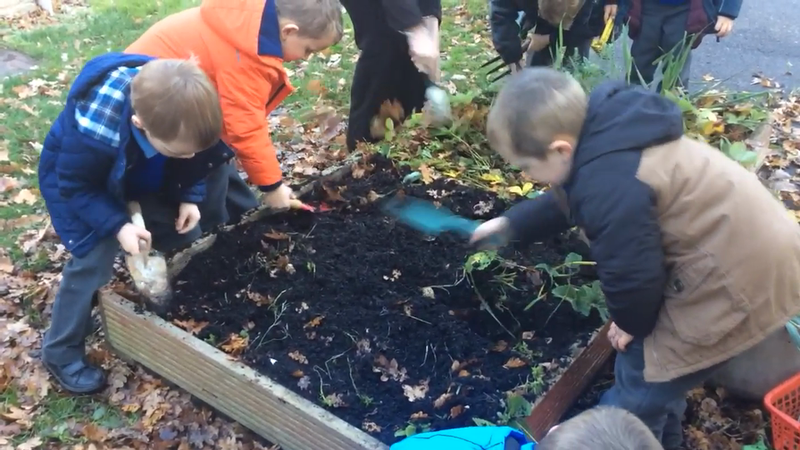 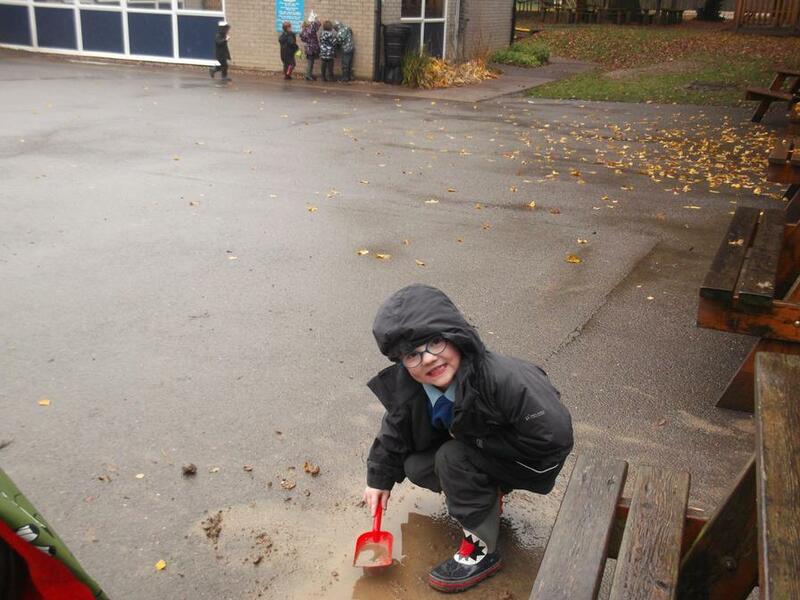 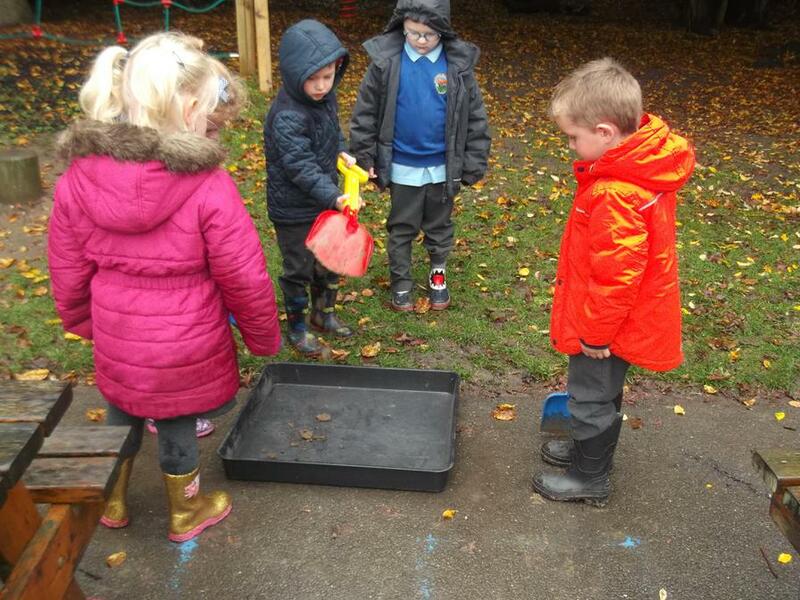 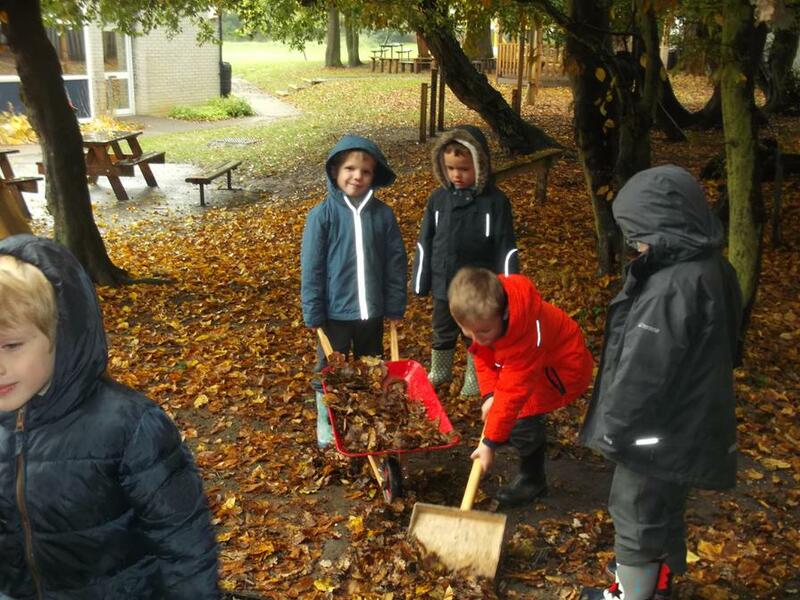 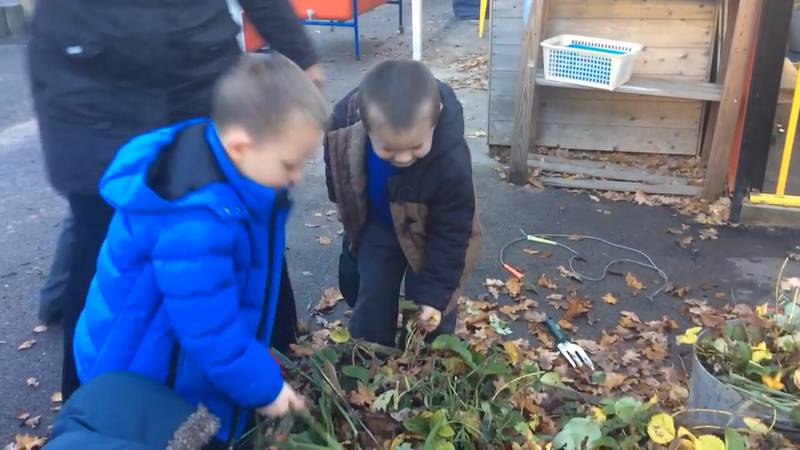 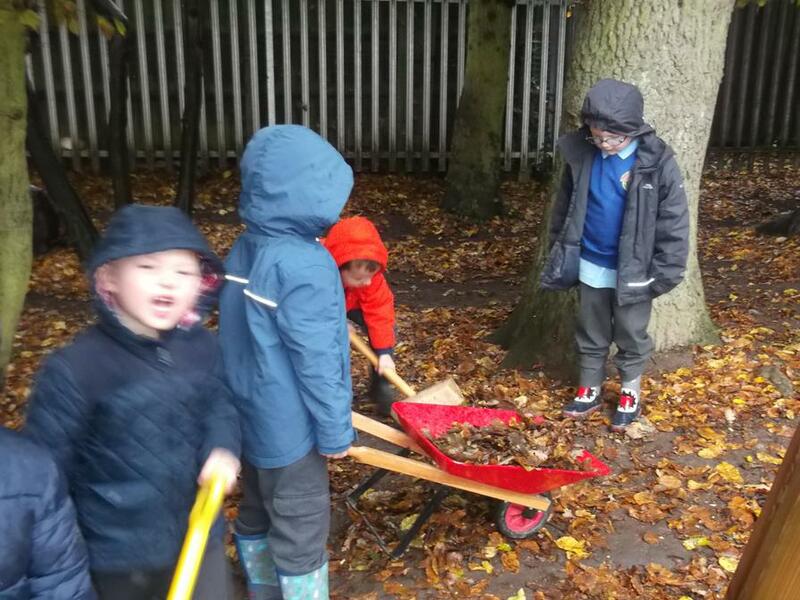 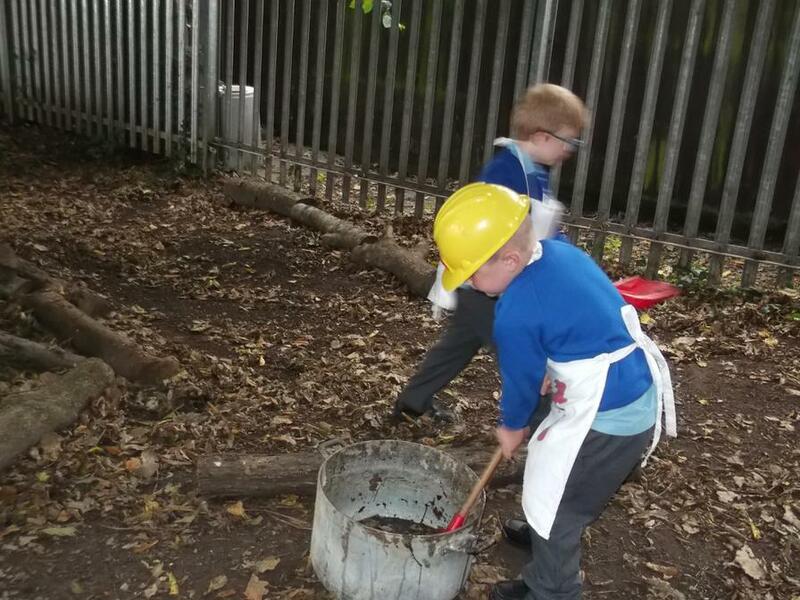 The children helped to clear the planting tubs ready to plant new bulbs. 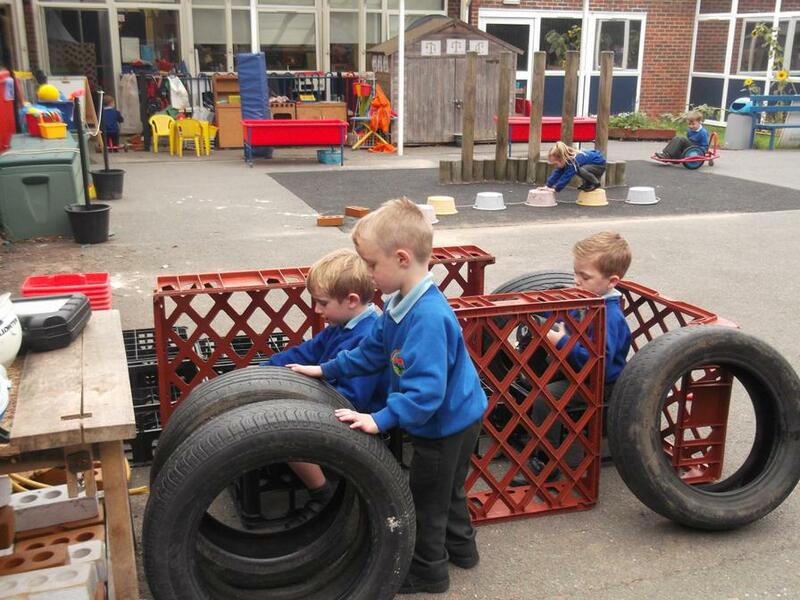 They did this with great enthusiasm! 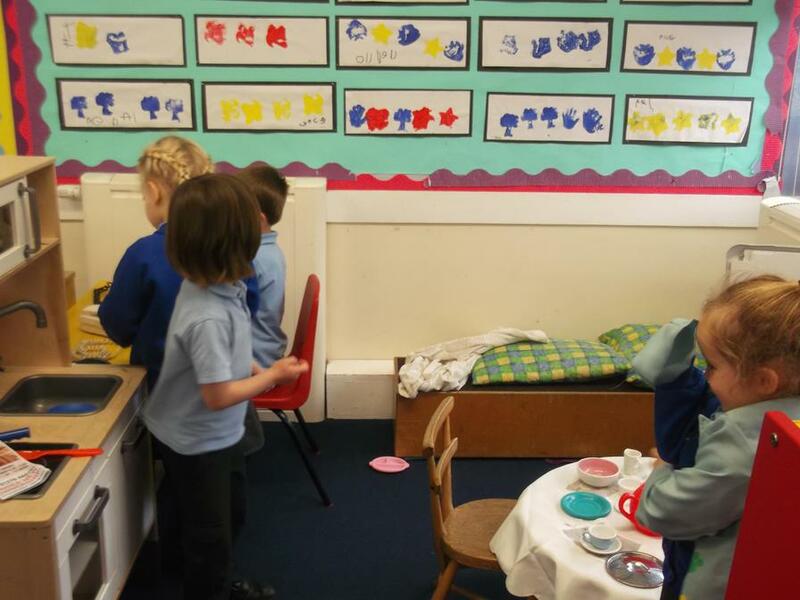 We sing while we work! 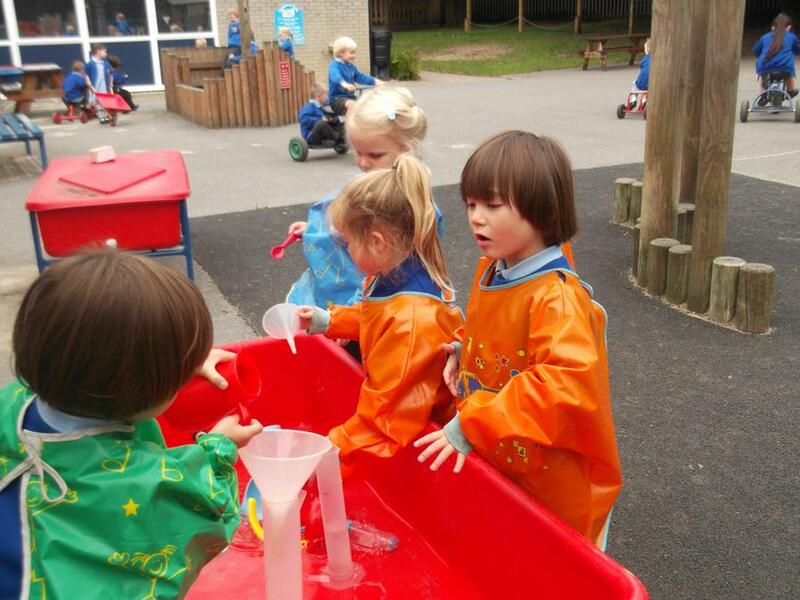 The children sing the alphabet song as they clear the tubs.